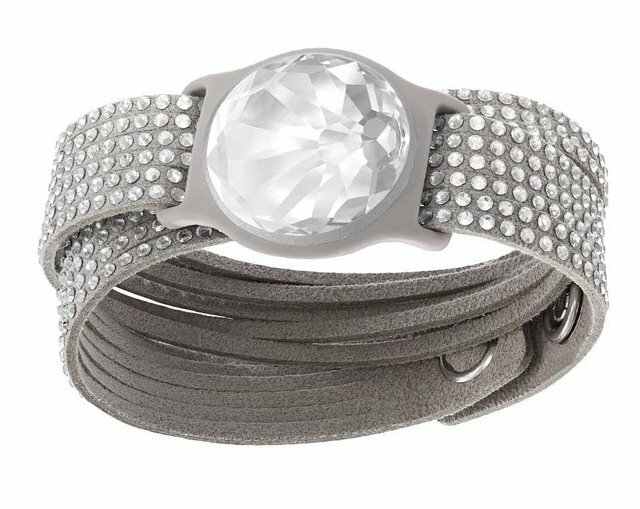 Misfit has announced its Swarovski Shine line, showing it at the 2015 International Consumer Electronics Show in Las Vegas this week. . The company, which makes trackers that can sync with your phone so you can measure your walking, running, swimming, cycling and other activities, including sleep quality and calories burned through its wireless technology, will show two new products. The clear Swarovski Shine, with a crystal face, is the first, while a violet Swarovski Shine has an “energy crystal” technology that allows solar charging, eliminating the need for charging or batteries. Both are waterproof. The collection is available for pre-order in the US at misfit.com, and will go on sale in the spring at Swarovski retailers in the US, China (including Hong Kong) and online at swarovski.com. 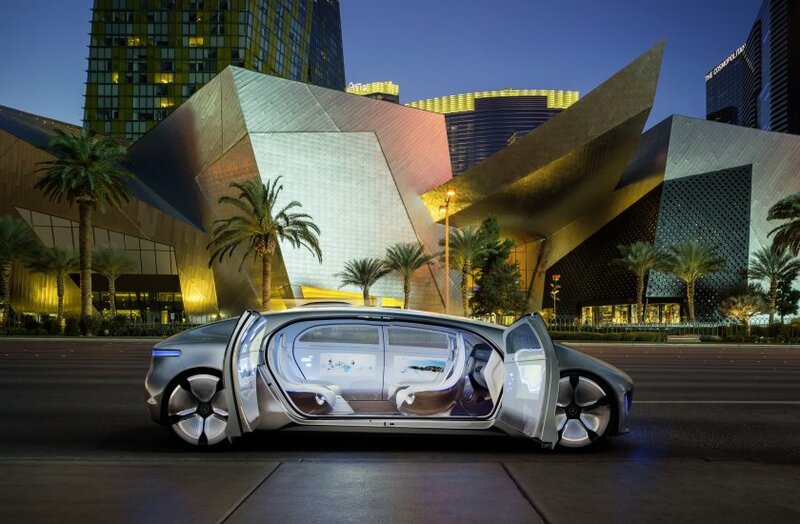 Another vision of the future at CES is the Mercedes-Benz F 015 Luxury in Motion concept car, which is a self-driving saloon. 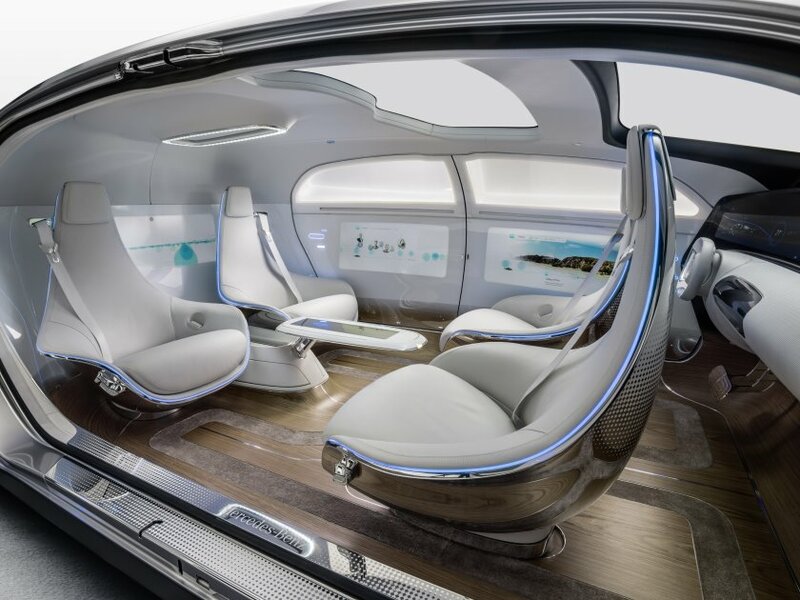 Mercedes-Benz says that the ‘car is growing beyond its role as a mere means of transport and will ultimately become a private retreating space. 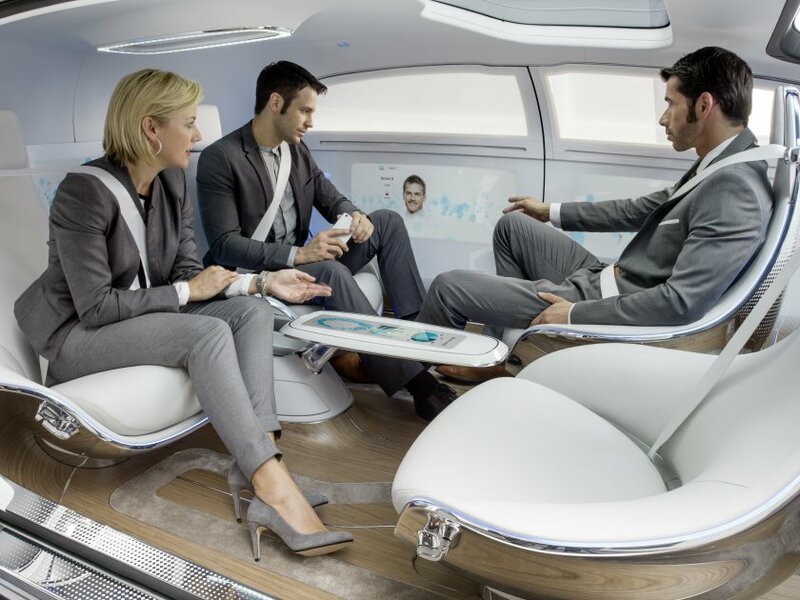 This new way of travelling gives passengers the freedom to use their valuable time on the road in manifold ways.’ Mercedes-Benz sees people retreating to their cars in a more urbanized future, where time and space are the real luxuries. Its interior adopts the theme of a lounge, with open-pore walnut wood, soft white nappa leather, and metal and glass surfaces. It features four rotating lounge chairs in polished aluminium, which can swing outwards for easier egress, and the front seats can face forward if the driver opts for manual driving. The steering wheel then extends from the dashboard. 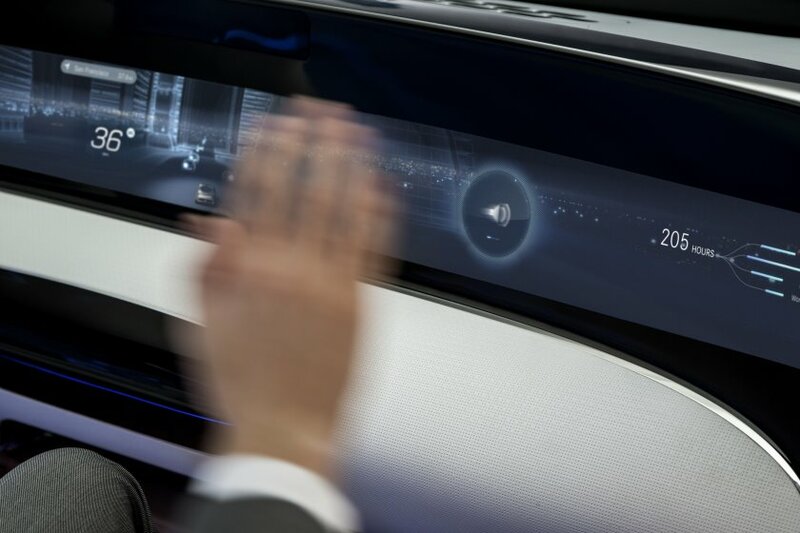 Six screens are incorporated into the instrument panel and rear and side panels, which respond to gestures, eye-tracking and touch. 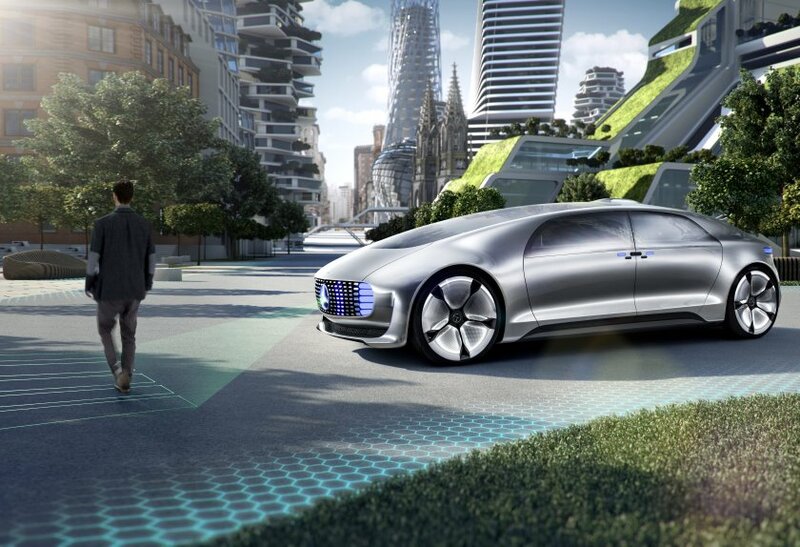 Outside, the car glows blue if it is driving autonomously, or white if its driver is in control. The body structure uses carbonfibre-reinforced plastic, aluminium and high-strength steel, making the bodyshell 40 per cent lighter than today’s production cars’. Rear suicide doors allow easier access, and the B-pillars have been eliminated. The front and rear doors are interconnected with an interlocking system.